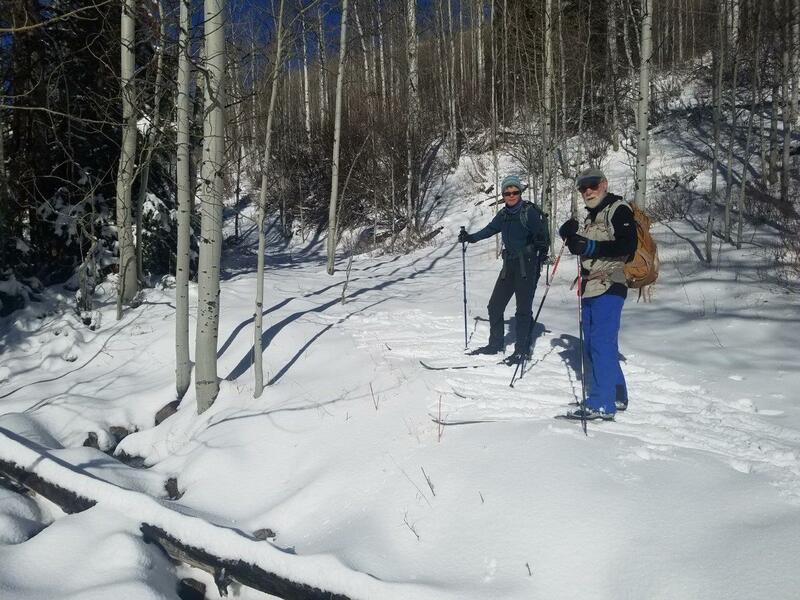 Started skiing east at 10:55 along snow-covered FR 141, continued east Lewis M. Turner Campground following an old roadbed along Tony Grove Creek (obviously an earlier road to Tony Grove). Ate lunch from 12:40 - 1:20 p.m., then resumed our uphill trek until we arrived at the (new) Tony Grove road at 1:50 p.m. We arrived at the Trailhead about 2:40 p.m. (the old roadbed sloped at an average 7.5% grade, enough for an easy glide back down). Skies were clear, with calm breeze and warm temperatures. 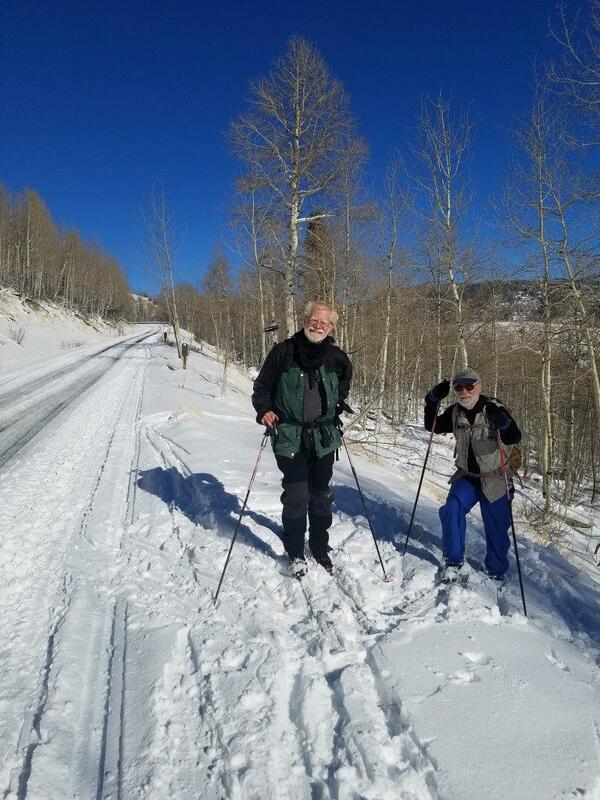 There was 6-8 inches of snow on the ground, just barely enough for skiing on smooth terrain. Our GPS track showed 4.1 miles with 860 feet of elevation. Thanks to Dave W. for photos and the GPS data.